This is an example of a monthly delivery with the Sportsman’s Box! Featured in USA TODAY magazine! With up to $80 of gear in each box, 12 months keeps you stocked! This box is for the Sportswoman too! Join Us & Be VIP! Receive VIP status while helping us continue growth and launch the next projects! We are the Hunting and Fishing industry, yes that "we" means YOU too. Will you help us continue to grow? We are innovating and bringing to life our next projects that are expected to not just add value to our industry, but grow the industry! Welcome! This is your exclusive invite to join us as we embark to continue to bring services and products that upgrade the sportsman's lifestyle. I'm Adam Whitehead, owner of Sportsman's Box. I fell in love with the sportsman's lifestyle at a young age and whether you have been in it for years or just begun, it is up to us, you and I, to make sure it "thrives on". 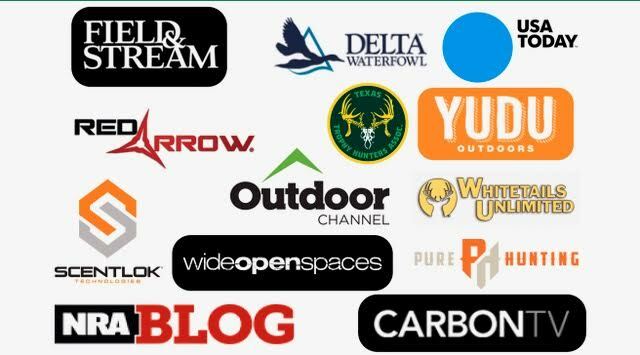 From sportsmen and women being active in the outdoors, all the way to companies producing innovative products and platforms that invite all to enjoy hunting and fishing. It's up to us. Currently we send thousands of members across the US and Canada a monthly box of new gear to upgrade their sportsmanstyle or sportswomanstyle! We receive 5 star feedback month after month and this is just the beginning as we continue to improve. We don't want to stop at the monthly box, the next projects we are set to launch will continue to bring value to you and your next pursuits. They will also close the gap between our lifestyle and those who do not agree with it (or simply don't know about it). Excitement is an understatment as we can not wait to share with you what we've been up to. But we can't do it without your help. We hope you will consider joining us with one of the VIP packages below to help us bring the new projects to life. *Already a member and would like to contribute, no worries, we will credit your account the correct number of boxes! What are you waiting for, become VIP! *Lifetime Discount - Applied to any regularly priced box service or products on store.